Two years ago, Will King, a first year certificate student at the Hopkins-Nanjing Center, and some of his study abroad classmates decided to start an informal, amateur rugby team in Nanjing. Today that team, the Nanjing Rockets, has grown into a thriving institution with around 60 players, both Chinese and foreign. 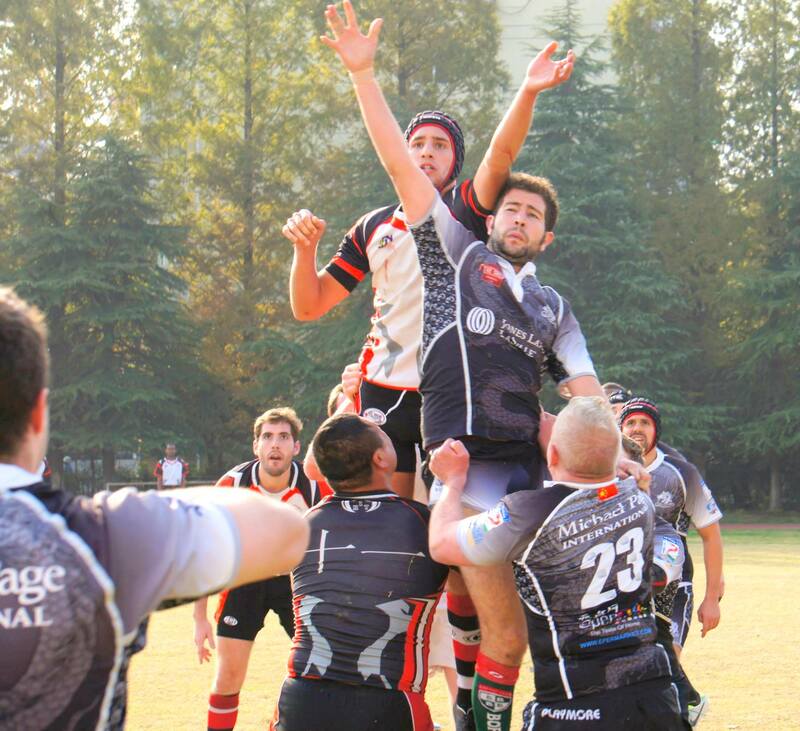 The Rockets are the only team in Nanjing not affiliated with a school and, despite being comprised of mainly foreign students, have become Nanjing’s de facto rugby representative in tournaments throughout China. King, one of the team’s founders and regular players, is modest about the achievement, saying that the process was not much more than a couple of guys getting together to play once a week. The Rockets, together with teams in Wuhan and Hangzhou, have formed the Yangtze Delta Division League, and are playing in various tournaments around the country. Including non-league games, the Rockets average around one game per month. King says each year the team starts off weak as new players learn the ropes but he finds that they quickly improve. Already the Rockets are holding their own against some of the best teams in the country from Shanghai. The success and sustainability of the team has attracted the attention of local government officials who are talking to the team about becoming the official Nanjing team and helping the government promote rugby, now an Olympic sport, in the city. So far, however, the level of interest by the government is still unclear and King acknowledges that nothing is set in stone and it is hard to predict what will come of these talks. However, the social bonding that the team provides is what makes it worth it for both King and Bond. Having played other sports like soccer and basketball, King thinks rugby is unique in that there is the tradition of a “third half,” where players from both teams go out after games for food and drinks.